- Make alphabet learning fun! - Learn how to write the lowercase letters. 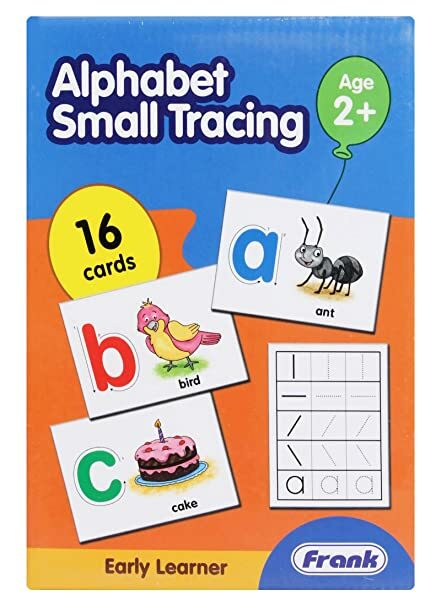 - Each card has a tactile letter, which the child has to trace with the finger, and an object starting with that letter. - Contains 16 cards measuring 19cm x 14cm.